RockTape will be delivering two practical kinesiology taping seminars within the Human Performance Centre in the New Year on Friday 8th Jan (Fascial Movement Taping Level 1) and Saturday 9th Jan (Fascial Movement Taping Level 2), with 50% discount on the usual course fees for all students within the School of Sport & Exercise Science (so £72 per day). Students are welcome to book for both or one day but RockTape suggest only booking onto the FMT2 (Sat 9th Jan) if you plan to complete/have enrolled onto the first day (FMT Level 1) or you have previously done a taping course. Prior massage/therapy qualifications of students (or lack of) is not an issue – all undergraduate students on previous courses have found it useful. If you are still unsure whether you would be suited to the course see the following document (Seminar_pre_read ), which gives some recommendations regarding further reading prior to attending a RockTape course. However, the practical part of the FMT1 day presumes that people have no previous taping experience so everyone starts in the same boat. 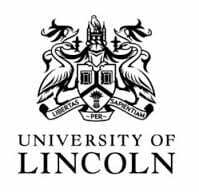 University of Lincoln School of Sport & Exercise Science students: if you put the code lincoln1 into the ‘coupon code’ box when paying for the course online it will reduce the fee by 50%, this will work for booking the one day course and both days. Any issues/questions etc. get in touch with the course provider in the first instance via the below web page or general questions can be emailed to Danny Taylor at dtaylor@lincoln.ac.uk. Interested in Coaching Gymnastics in Lincoln? Lincoln City Gymnastics Club are looking for people who either already hold a British Gymnastics Women’s Artistic Gymnastics coaching qualification or who would like to learn to coach skills on bars, beam, floor and vault. They are based at St Peter and St Paul’s School in Lincoln. The centre would welcome the opportunity to allow students to provide video footage of both training & matches. Home matches would be the main focus to capture footage that can be used to provide technical and tactical feedback to players. and be responsible for developing a training programme in relation to specific strength & conditioning. Students will have the opportunity to present a nutritional workshop to players at an elite level. Classroom and smart board facilities are made available, the workshop can be delivered within a flexible format but must be relevant to the Lincolnshire FA Girls Centre of Excellence programme. Students will have the opportunity to present a sports psychology workshop to players at an elite level. Classroom and smart board facilities are made available, the workshop can be delivered within a flexible format but must be relevant to the Lincolnshire FA Girls Centre of Excellence programme.